They used to be in a coffee shop at Kallang Bahru before moving to the current location. I was greeted with a smile when ordering at the counter. I decided to go with Chicken Cutlet ($6.50). The friendly chap at the counter asked, "What sauce do you want it with?" He said, "Why not try the Takoyaki sauce that we have newly created?" I asked, "Is it really nice?" He said, "I can guarantee. You have to add $1 for that sauce though. I will refund that $1 if it is not nice." I was asked to choose the side dishes and I opted for the mashed potato. I was given a buzzer after payment. It buzzed a while later, I went to the counter for collection. The same chap asked, "Have you collected your soup yet?" He pointed to the pot placed at the corner of the counter. I bought the food to the table and came back for the soup later. I took a bowl, lifted the cover of the pot and used the ladle for scooping the soup. 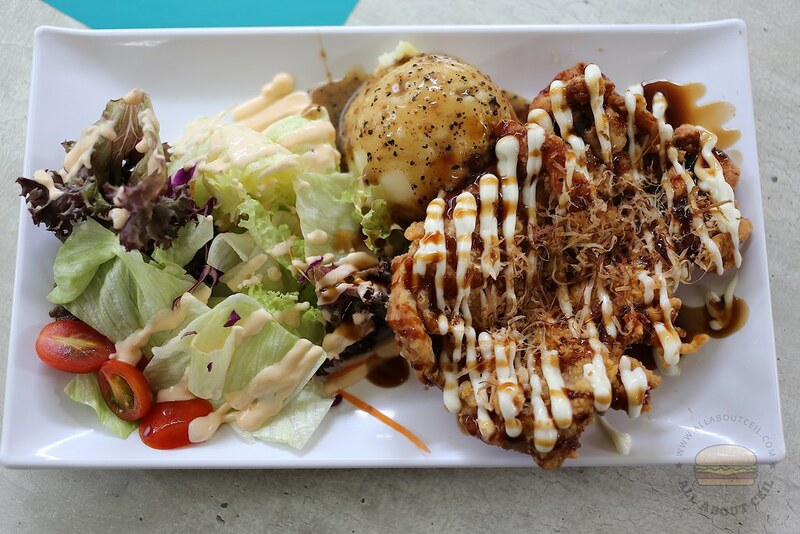 The deep-fried chicken cutlet was drizzled with mayonnaise and takoyaki sauce then topped with bonito flakes. My dining companion said, "It actually tasted just like Takoyaki and those who love this Japanese street snack might like it. " He also said, "I did not expect they serve the mashed potato with black pepper sauce, it tasted just strange." I did not really like the chicken cutlet with takoyaki sauce but it is not bad enough to actually ask for the $1 refund. I did not manage to finish that bowl of free soup, it tasted like a carrot based vegetable soup. My dining companion said, "It actually tasted better than the other Western food at Upper Thomson." 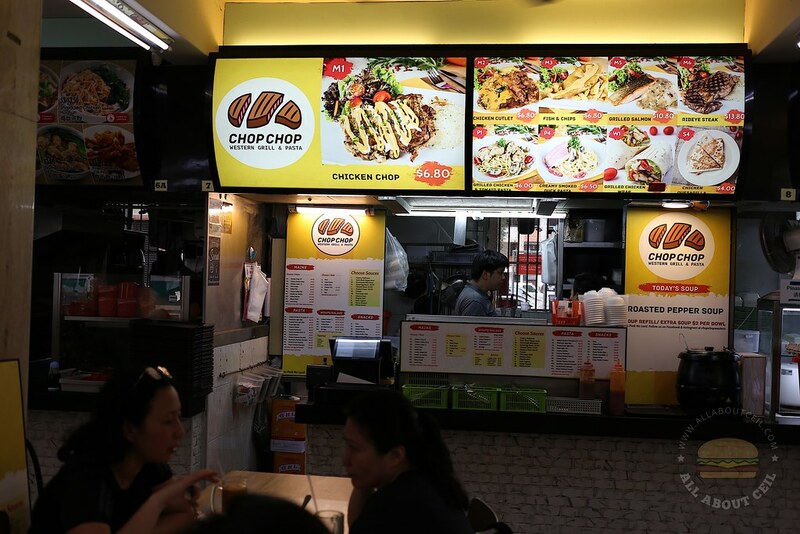 There are many Western food stalls around but so far, none is actually as good as the TCB Grill over at Jurong East. 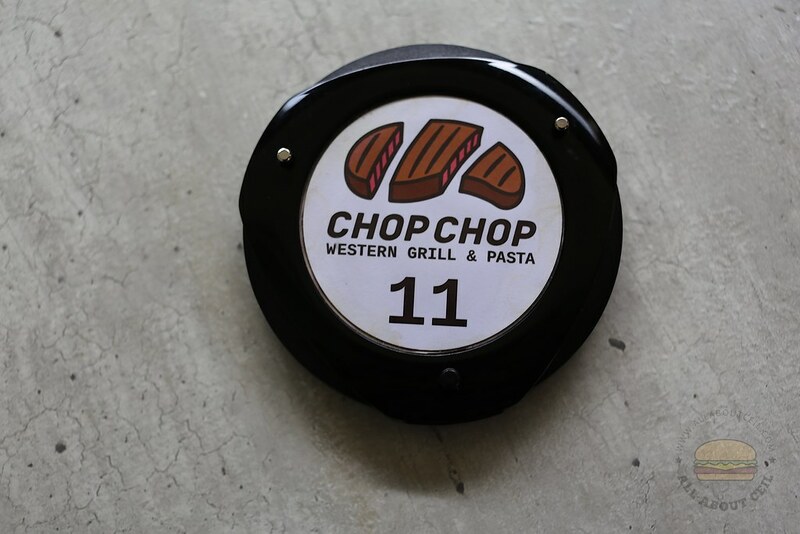 Their grilled chicken chop is one of the best around. 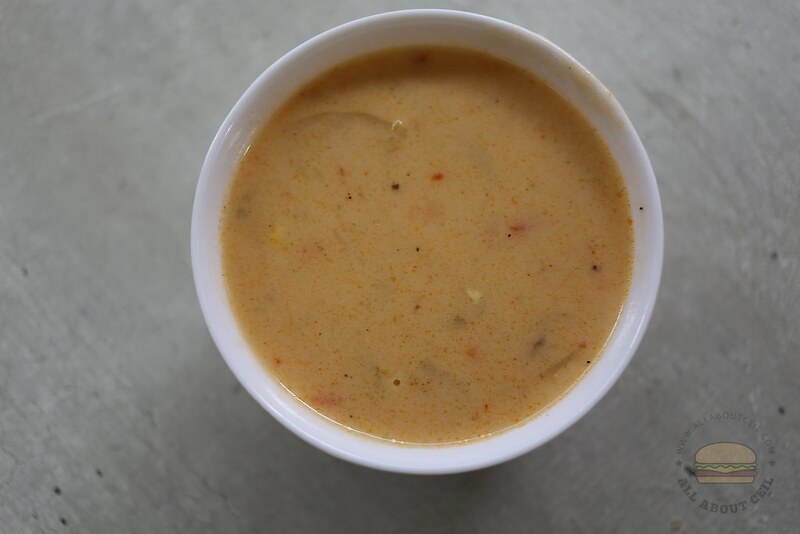 This sounds like the most delicious comfort food dish EVER! I can't wait to give it a try! Thanks so much for sharing!